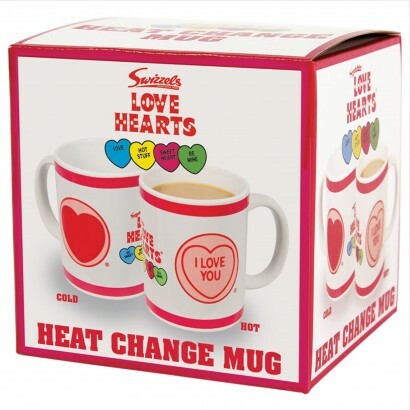 Sweet as candy and lots of fun, fill this retro Love Hearts sweets mug with hot liquid and reveal the secret message! 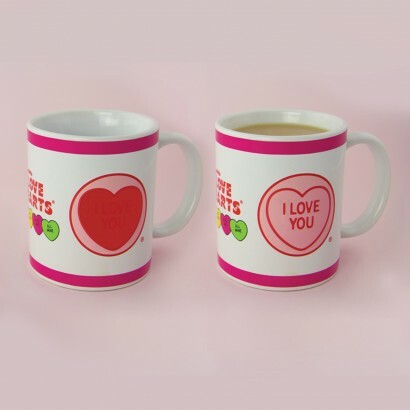 Whether you're serving up a hot cuppa for your Mrs, conveying a Valentines message or just indulging in a little TLC, this sweet mug is guaranteed to put a smile on your face. Secret message reads "I love you"